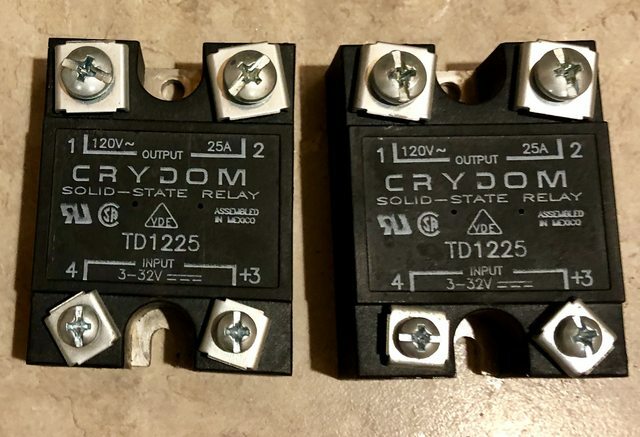 I grabbed these from a local ebay shop that deals in used industrial supplies. I've also got a couple of the cheap "FOTEK" SSRs off of ebay/amazon and while they've been working fine, these things feel so much more beefier and rugged. I haven't weighed them, but they feel almost twice as heavy at the foteks.